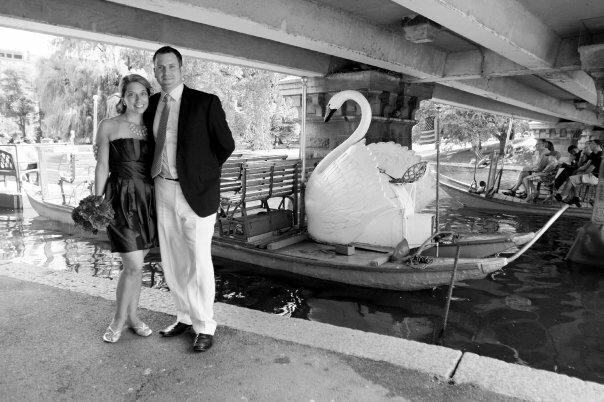 When you live in Massachusetts, summertime is equated with soft serve ice cream, baseball and fresh seafood. When you live in Massachusetts and develop a shellfish allergy in your early twenties, summertime becomes a little less fun. Or a lot less if you loved it as much as I did. 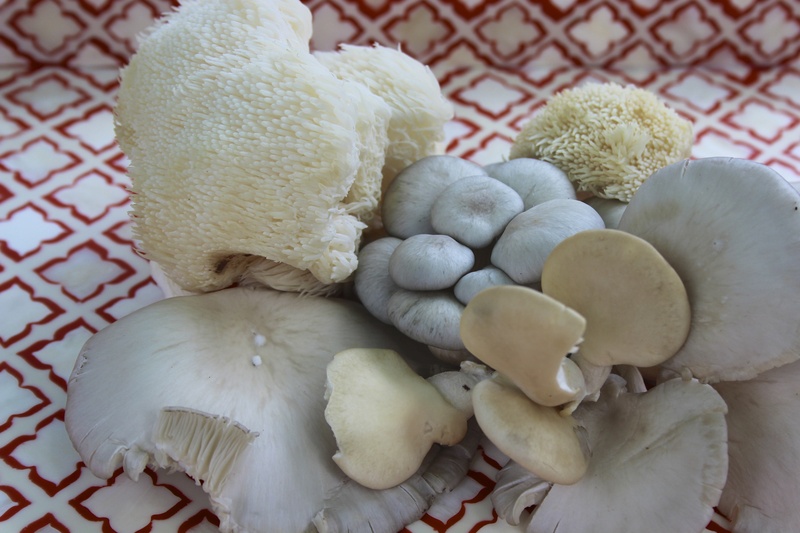 So you can imagine my pure delight when, at the farmers’ market last week, I discovered lion’s mane mushrooms grown organically and for sale right in our backyard. 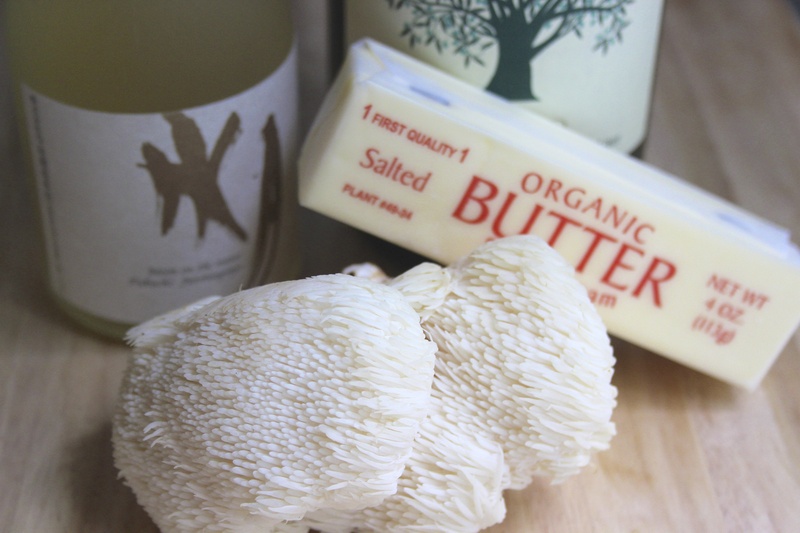 Mycoterra Farm is located in Westhampton, Massachusetts and grows small batch mushrooms. I had never heard of this farm before but was just excited to go get some organic mushrooms for a pasta dish I wanted to make. When I got to the mushroom table I could not help but notice these gorgeous lion’s mane mushrooms….of course it helped that my four year old was prodding at them with his index finger saying look at this one…at which time I felt somewhat obligated to buy them since he had touched them in a way mushrooms probably should not be touched. But everything happens for a reason, and I was delighted to read that lion’s mane mushrooms have the texture and taste of lobster! WHAT?! Lobster in a mushroom form? It had to be too good to be true. I needed to find out though so we bought them along with some others which we have yet to use. My first thought was lobster roll- substituting the lobster with lion’s mane mushrooms. I did a bit of research and learned that you really need to cook these down to achieve the mushroom’s true texture and flavor. I put them in a hot pan with a little olive oil and caramelized them until the “mane” bits were crispy and golden before adding a splash of sake and a tablespoon of butter. My second thought was white truffle mayonnaise. 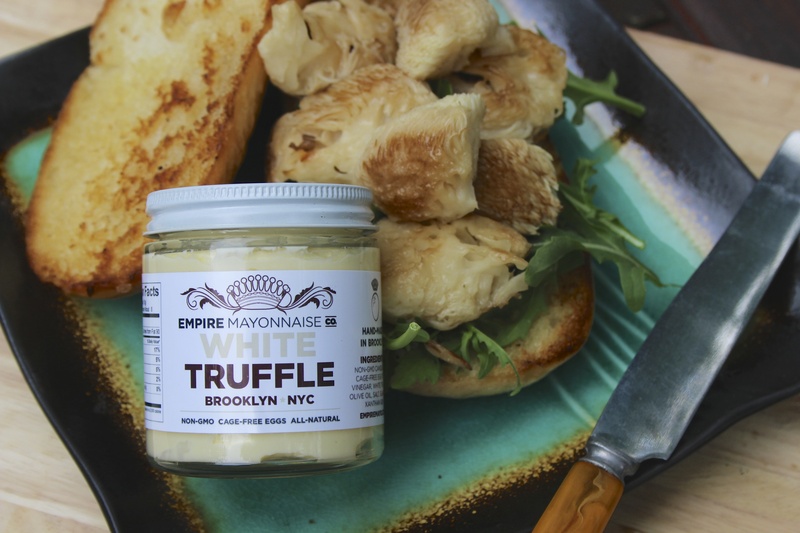 We are in love with Empire Mayonnaise out of Brooklyn. 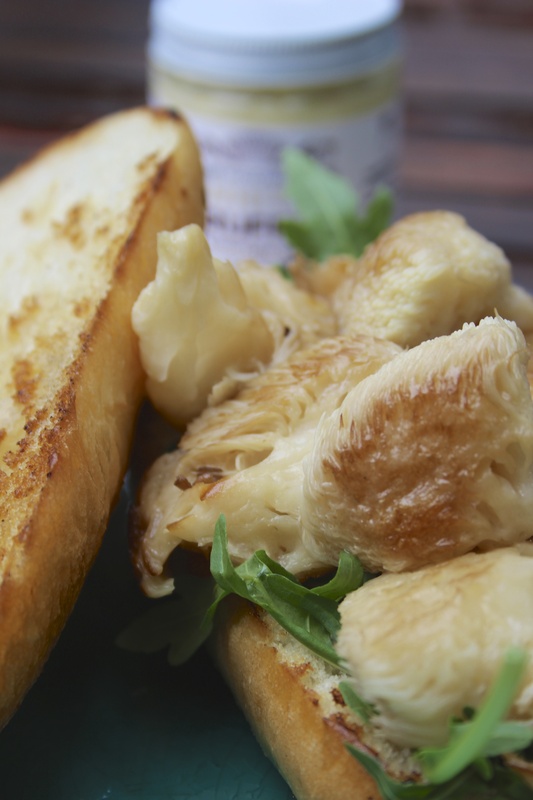 While we truly thought the bacon mayonnaise was our favorite, we are so on the fence now with white truffle. I can’t tell you how decadent it is. This entire lunch, actually, felt like a bit of a treat since I didn’t share it with anyone else. I mean, really- it has been about fifteen years or more since I have been able to enjoy a true lobster roll so this substitute was all mine. Opening my very own jar of white truffle mayo and spending $5 on the three mushrooms did not seem like a big deal. Even toasting the roll in the olive oil/butter leftovers from the mushrooms seemed perfectly logical. The lunch was just as I had imagined. 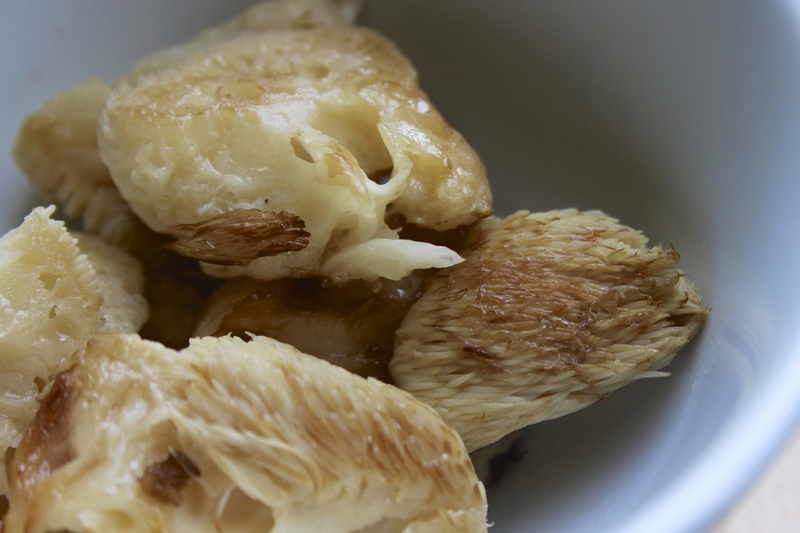 The texture of these mushrooms was incredibly similar to that of lobster. 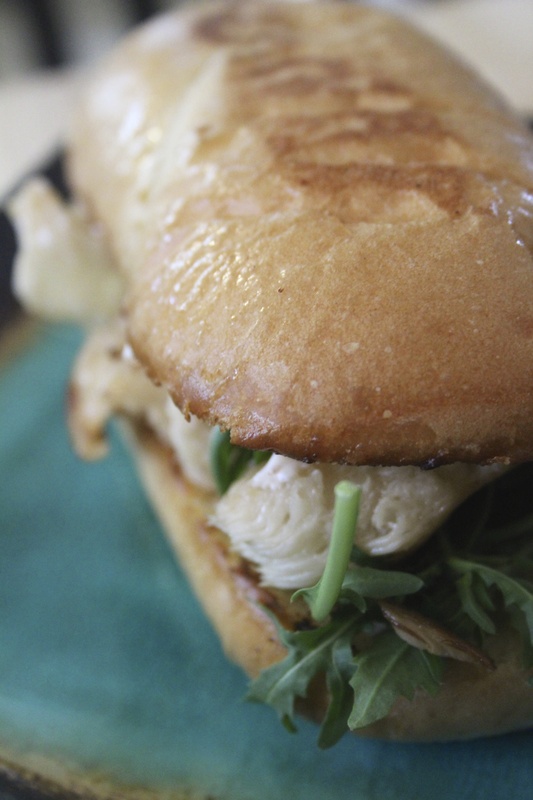 The subtle taste was definitely lobsteresque and the toasted roll with the white truffle mayo? Oh wow. If you haven’t tried anything like this yet you should. It was one of the best lunches I have had a in a long time. We can’t wait for next Tuesday to try yet another mushroom variety…although we have our eyes on their “grow your own” mushroom kit.